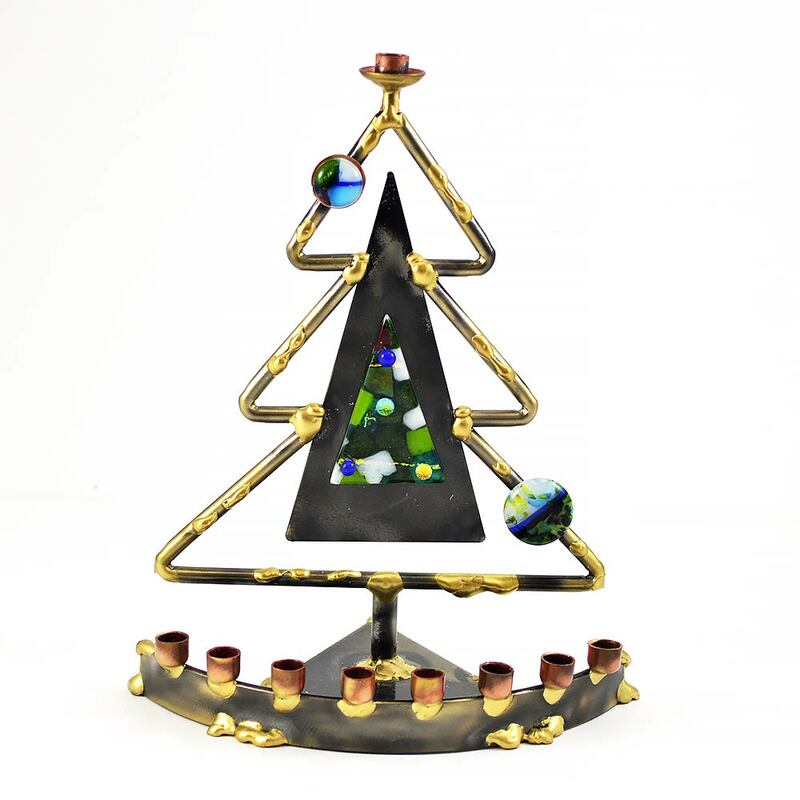 This Sculptural Tree Menorah By Gary Rosenthal Makes For The Ideal Holiday Gift For Interfaith Families. 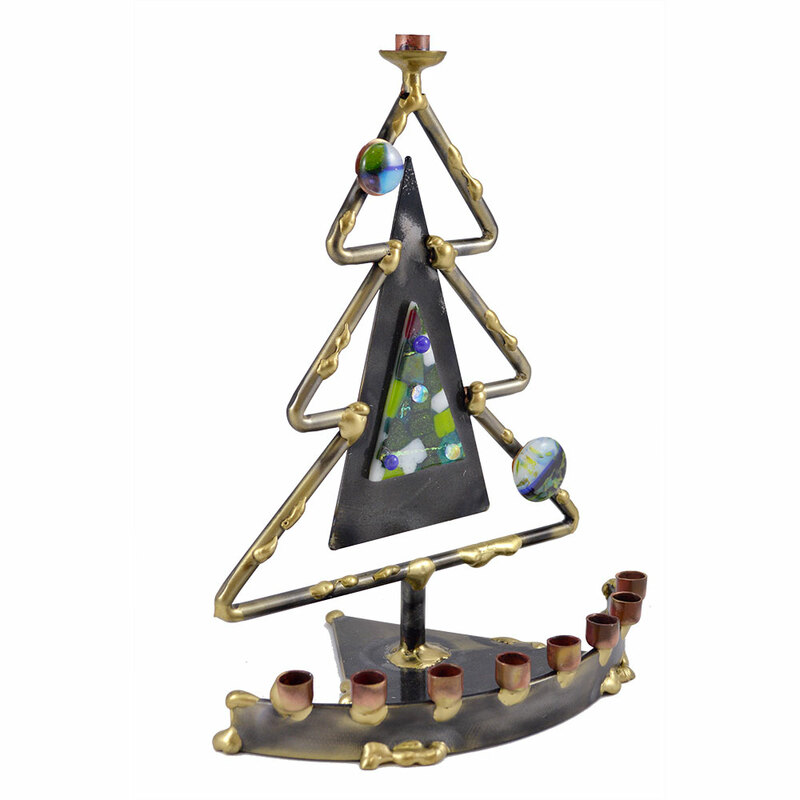 Handcrafted From A Mix Of Metals And Fused Glass, This Menorah Features The Artist's Conceptual Christmas Tree Design As Its Backdrop. Decorated With Fused Glass Ornaments, With The Shamus Placed At The Very Top Of The Tree To Shine Bright All Eight Nights. 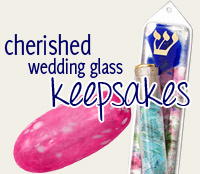 Each Menorah Is Made By Hand And Will Be Different And Unique In It's Glass Designs And Patterns. 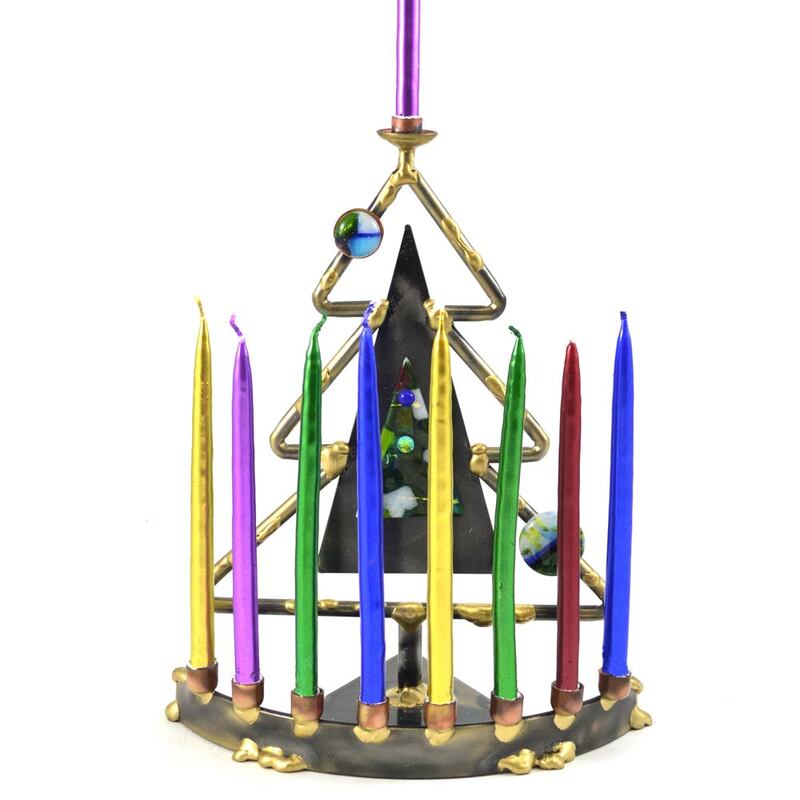 This Menorah From The "When Holidays Combine" Gift Collection Is 9.5" Tall X 7.5" Wide X 5.25" Deep. Complete This Menorah By Adding A Box Of Festive Metallic Hanukkah Candles. This is the perfect menorah for our family. My husband is Jewish and I am not but we celebrate both holidays. I just love this! What Is The "When Holidays Combine" Gift Collection? This gift collection has been specially curated by Tradition’s owner, Wendy Gordon. Her inspiration behind the creation of these exclusive gifts was at first the rarity of both the first night of Hanukkah and Christmas Eve falling on the same night and remembered what fun it was creating exclusive gifts back in 2013 when the first day of Hanukkah and Thanksgiving fell on the same night. After extensive research on the subject, she realized that many families celebrate both holidays and that this was not only a gift idea for 2016, but gifts that interfaith families could enjoy each year when they celebrate the December holidays. 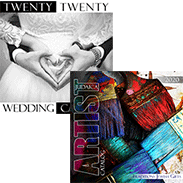 Wendy says; "What began as a fun and creative project turned into what I felt was an untapped need in the holiday gift market." Are You Creating A New Holiday Like Chrismukkah? With a deep respect for the religious nature of both Hanukkah and Christmas, Wendy does not recognize Chrismukkah as a holiday because it is solely a made up holiday created from the comedy TV show; The OC. Just as she did not use the coined phrase, "Thanksgivukkah" for the previous Hanukkah/Thanksgiving gift collection, she is not using the phrase, "Chrismukkah" with this collection of gifts. Is It OK To Celebrate Hanukkah And Christmas Together? Wendy feels that it is important for each family to celebrate the holidays as they see fit. "It is not for me to judge how people choose to celebrate their holidays." and she understands that interfaith holiday celebration is a sensitive topic for many people. Wendy wishes for religious tolerance and understanding, no matter how people choose to celebrate their holidays.